Where: Warminster Community Park Time: OPENING CEREMONIES BEGIN AT 9:30 a.m. – You will NOT want to miss this special tribute to our nations Heroes! Packet pick-up times are as follows: Friday, June 14th from 6:00 p.m. until 8:00 p.m. at Crafty’s Taproom 355 North York Rd Warminster PA 18974. Saturday June 15th at Warminster Community Park beginning at 8:00 a.m. 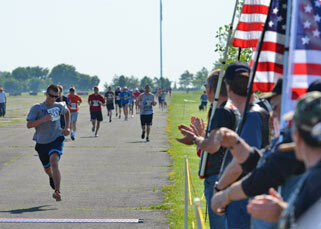 The Annual Wounded Hero 5K is an event located in Warminster Pennsylvania to bring the community together in a show of support for our nation’s wounded Heroes. The day is full of motivation and inspiration. We strive to make this a fun filled patriotic family event. We have multiple events for your whole family to participate in! The Wounded Hero 5k, The Navajo Code Talker one mile Honor/Memorial Walk, The kids “I RAN A MILE FOR A HERO” one mile fun run! Come out and enjoy great food from Mission BBQ and live entertainment and most importantly our wounded Heroes as guest speakers. All proceeds raised from this event will go towards Operation Ward 57‘s Honor & Courage Program. 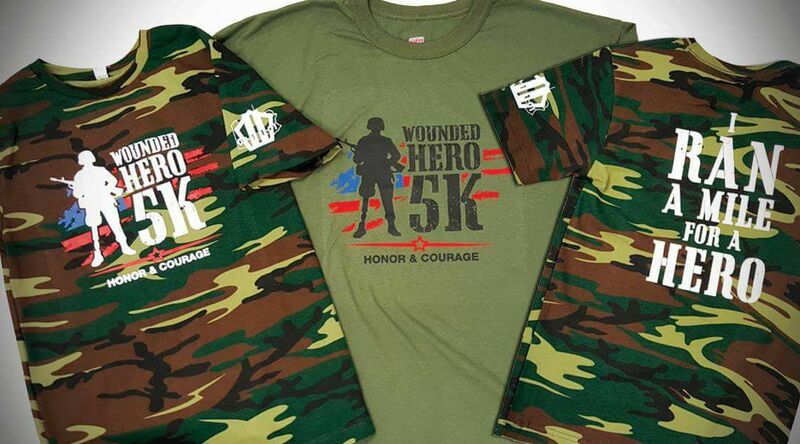 The first 300 registrants are guaranteed a t-shirt. Motivate – Put the video games away, go run, walk, breath fresh air! Educate – Listen to and share the stories our Heroes have to tell. Learn about their sacrifices! Inspire – Give back and help as much as you can for those who have answered the call and sacrificed for us.